In 2012, a group of prisoners at Sing Sing Correctional Facility raised nearly $8,000 from among 1,600 prisoners to launch a gun buyback with the NYPD. Their donor match fell through and consequently they fell short of the minimum amount needed to get the initiative off the ground. 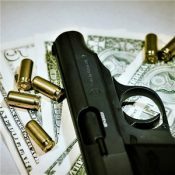 Please help these men, now collectively known as Voices From Within, raise the remaining funds necessary to finally launch this gun buyback. If successful, it could remove approximately 100 to 200 guns off New York City streets. Your contribution demonstrates your support for the twin goals of improving public safety and promoting second chances. Thanks to the generous commitment of Yusef Kassim and friends, the first $5,000 in donations will be matched.